How to Protect Yourself from Dog Bites While Walking or Jogging! Another day, another dog bite. Just another day in this world we call life. After publishing an article yesterday on proper dog management, a news story broke on the evening news about a 93-year-old woman strolling through a neighborhood in my home state. She was mauled by a dog that rushed through its home and out the door to attack her. Witnesses say the dog was rescued a few months ago and seemed very mellow. The unprovoked attack left the elderly woman so severely injured that she may face plastic surgery procedures to her leg. Folks, no one said life was easy. No one said we are guaranteed a stress-free life. No one said bad things won't happen to good people. While my heart beats harder every time I hear about the latest dog mauling victim, I don't run to my computer and start typing death threats to the dog or the owner. No! That isn't going to solve this problem. Taking out a whole breed of animals isn't going to stop this problem! There are always going to be dog bites. Take action and protect yourself. Expect the unexpected and arm yourself with self-defense strategies. Why do dogs attack innocent people walking or jogging in a neighborhood? First, let's examine some possibilities of why dogs suddenly rush through homes or violently break off chains to go after innocent people doing nothing more than enjoying fresh air and exercising to better their health. We live in a world with animals. Over the last century, world population has grown which has led to more homes filled with pets such as dogs. Also, neighborhoods are closer in proximity to one another than ever before. An elderly woman was walking through a neighborhood near the airport where she liked to sit and watch the planes come in every day. A dog chained and neglected in a nearby back yard tore the chain off his post, hopped a chain-link fence and mauled the woman. A witness, an elderly man, came to the rescue of the woman trying to beat the dog off with his cane. The woman suffered terrible life-threatening lacerations to her face, neck and body. The dog was not a pit bull. It was a dog that had been neglected, abused, and left alone. A jogger is on the path nearby her home when suddenly dogs escape their pens from separate back yards. They attack the jogger, relentlessly trying to pull flesh off of her and refuse to release their jaws without lethal force. These dogs were not pit bulls. These dogs were left in unclean pens, with no food or water, and got out because they were not supervised. A man riding his bike through town to get a gallon of milk for his children for breakfast before school is suddenly chased down and ripped off of his bike by a dog weighing more than 100 pounds. The man has no fighting chance, being dragged in to the street and shredded by the dog, suffering numerous injuries that will take years to repair. This dog got out of his house and deliberately chased this man down. How did the dog escape? This isn't about making excuses for a biting dog. It's about learning from mistakes and doing something to prevent the next attack. I was reading countless news articles about dog maulings. Regardless if the attack was provoked by a pit bull or not, the comments included statements to indicate all pit bulls should be banned from earth and destroyed. I'm not making excuses for a biting dog. Yelling at a computer screen shouting profanities after watching an innocent person get ripped to shreds by an aggressive dog doesn't help. Writing slanderous statements against the owners of biting dogs isn't helpful. Promoting death of certain breeds isn't going to stop dogs from biting. A logical approach is to help be the change you want to see in the world. How do we make that happen? By changing not only the way we think, but the way we do things. My hope and intention is after reading this article, many of us change the way we do things to better protect ourselves the next time we leave the house. Dog bites not only happen to everyday people but trained officers of the law as well. "The officer, who was not carrying a catch pole, tried to fight off the dog and was injured in the process." An animal control officer sustained severe wounds after being called to a scene at a family's home for an aggressive dog. 10 Tips for Keeping Yourself Safe Next Time you Take that Neighborhood Stroll! I'm including mail carriers in this article because they are on the front lines. They are the ones that are bravely approaching strange houses on a day-to-day basis that are most often the ones encountering barking dogs. My own mail carrier has been attacked five different times. They were all dogs she knew of and owners she had been delivering mail to for years. These tips aren't meant to instigate an attack or provoke a dog to attack. These are strategies to use in the event a dog is about to attack you! Our local dog officer offers great advice! Some people believe their dog only shows aggression toward other dogs. If a dog displays aggression toward other animals, it should be confined until a behaviorist is consulted, a trainer found and the behavior changed. Incidents of animal aggression should also be reported to an animal control officer. This statement was released after the tragic lethal dog mauling of an elderly man. Dogs come in all heights and weights. 1. Carry a small spray bottle or plastic water bottle with you. One time I went walking with one of my dogs on a hiking trail in the woods. I always bring a backpack including a bottles of water for me and the dog. As we approached the top of the trail where it opens up to a water outlet, a pack of unleashed dogs approached us. The dogs were all very large weighing in over 100 pounds each. They ran up to us in a rambunctious manner. While I wasn't afraid of the dogs as they seemed quite friendly, my dog was terrified. The dogs started to surround and corner us as my dog yelped out in fear. I knew this could escalate to deadly and unsafe proportions if I didn't act quickly. The owners of these dogs were nowhere in sight. I pulled out my water bottle and squirted into the crowd. The dogs backed off and let us through the path without further confrontation. While I didn't really think the dogs were a danger to us, dangerous behavior can strike suddenly and without warning. It's all about protecting yourself. Using water is safe and unharmful. It doesn't hurt. This is one quick way of repelling dogs that you might be afraid of or that may seem unusually aggressive. 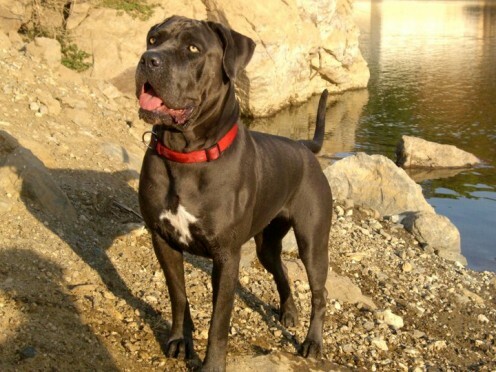 This is a Cane Corso, also known as an Italian Mastiff. 2. Shout firm commands to dogs that approach you. Cane Corso Mastiffs are beautiful large dogs. One time I took my border collie to the dog park for some exercise and socialization. My border collie isn't afraid of any other dog. She loves to play. We were alone for a while until a man walked in to the park with three Cane Corsos. The fur on these dogs looked blue. They were so beautiful and really piqued my interest. I walked over to the man with his dogs and introduced my border collie. She happily ran off with them playing with the balls leftover from prior visitors. We were the only two people and four dogs in the park at that moment. Until a well-known friend walked up the path with her pit bull. I love this pit bull. She is a mixed breed, very well groomed, and has an appealing personality. I made friends with this pit bull months before and she got along very well with my border collie. Unfortunately, as the pit bull ran up to greet us, the three larger Cane Corsos took her down, biting her in the mouth, and leaving her bleeding. The attack was unprovoked to human eyes. In dog language, maybe they went in to protection mode or maybe they saw the pit bull as a threat. I'm not really sure what happened, but I can tell you what saved the pit bull from a worse fate. Using my knowledge and experience from living on a farm and owning my own dogs, I went in to disciplinarian mode. 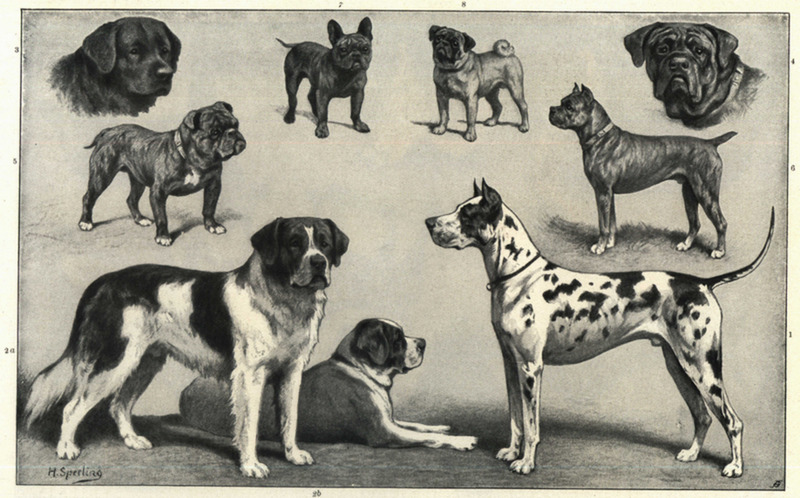 I shouted firmly, but solidly, several commands that I had a hunch these dogs knew from their trained posture. The dogs retreated and sat down by their owner. Because the owner had never been in this situation, he actually had no idea what to do. This is further proof that education and knowledge goes along way for not just dog owners themselves, but for innocent people that can use these tips for self-defense. What words were effective in this situation? It took several tries, but the dogs did eventually listen. Otherwise, I'm afraid the outcome of the pit bull would have been more severe. The owner of the pit bull was very shaken up. Fortunately, the dog had a very minor cut on her bottom lip that healed up and she was back playing in the park in no time. These commands worked in this situation because the Cane Corsos were trained. These may not work in all cases, especially for stray dogs. 3. Before the dog jumps on you, give it right back. When dogs attack, they can strike any part of your body. Most commonly, they will go after one of two places. Bigger dogs will most likely strike for your face and neck. Smaller dogs will go after ankles and toes. Some dogs go after fingers. Learn to protect yourself against a charging dog. A person that is walking down the street or jogging may not have much time to assess the situation at hand before a dog strikes. Here are some strategies for protecting your body as much as possible. Quickly judge the weight and height of the dog. If it's a mini dog, chances are the dog will be toward the back of the legs or feet. If it's a large dog, you have to react quickly in order to protect yourself. If the dog leaps or jumps up at you, go in to action. Lift your knee as high as you can in front of you to keep the dog from reaching your face. Then cross your arms and cover your face. This will build strength in your arms so it won't be as easy for the dog to grab one arm. If possibly, tuck yourself head under criss cross arms and roll into a ball. Lay still. Fighting back will cause worse bites. If you feel comfortable with the dog's size and think you can take it on, it's ok to fight back. It's just when a dog is much larger and you don't have much of a chance, if you start fighting it, the wounds will be worse than if you stop moving. Dogs are prey driven. They fight until the prey stops moving. Think of yourself as a rabbit. It's no longer a challenge for a dog when the prey stops moving. No look, no touch, no talk. Don't look a dog in the eyes. Don't touch the dog or reach out your hand to pet him. Don't talk to the dog except if you are shouting firm commands at it. The attack isn't personal. If you have any loose article of clothing around your body such as a scarf or fabric belt tied at the waste, try to remove it from your clothing. People have been strangled by dogs that play tug-of-war with loose articles of clothing around a person's neck. Don't try to run away. Dogs will see this as a challenging prey drive and chase you until you are down. Don't be fooled by a wagging tail. This may not mean the dog is happy to see you. Don't think a dog is yawning because they are tired. This could be a sign of stress and impending danger. Practice being in this situation before venturing out so that you will be comfortable using these techniques if you ever find yourself in this situation. 4. Carry a walking stick or cane. People alone without any defense are most vulnerable to a dog attack, especially elderly victims. Carry a walking stick or cane with you when you go on walks. It's not proven that this technique is successful because I have heard of incidents where witnesses come to the defense of a victim with a baseball bat or stick and the dog just doesn't let go. However, it gives that immediate block and few seconds in between what could be a devastating first bite. 5. Wear a whistle around your neck. Many dogs retreat at the sound of loud noises. At the dog park here in town, many dog owners and trainers wear whistles around their necks in the event a fight breaks out. It has been a proven technique for stopping dogs before they get out of control. 6. Carry treats with you on your walk in the anticipation you will see a dog. There's something to be said about milk bones. I've been in situations several times where dogs have jumped fences or over tables to get at me and the smell of a treat makes them forget why they were charging me in the first place. 7. Avoid walking by houses where a dog lives that you fear. Dogs are territorial. Whether fenced in a back yard or in the comforts of a living room, I have heard of dogs leaping out of plate-glass windows to attack a passerby. I've also heard of dogs scaling fences to get at those they feel are endangering their territory. If possible, walk on the other side of the street of homes where dogs live, especially ones that you are afraid of. There used to be a house in our neighborhood with multiple dogs. Those dogs acted ferocious anytime someone walked by the yard past the wrought-iron fence. I learned to walk across the street on the other side. The dogs never barked or moved. If I walked on their side of the street, the dogs went in to guarding action. This is especially true for people walking small dogs. My mail carrier had a dog bolt out of a front door and charge her in the street. We suspect it was because although she had delivered mail to this home many times in the past 10 years, she never had the occasion to walk up to the door. The first time she had to deliver a package, the dog bit her. Walk on the opposite side of street when approaching a home with a dog that you fear. 8. What not to do when approached by an aggressive dog. Many dogs are less sensitive to pain than humans. Here are some suggestions about what not to do if you are ever approached by an aggressive dog. Don't start kicking the dog, because it may make the dog bite you harder. Don't use pepper spray. The dog most likely won't feel it anyway and you will most likely get some on you making it harder to defend yourself. Don't scream and run away. The dog will chase you down. Don't stick out your fingers to protect yourself. This will result in a possibly injury or amputation to your fingers. Don't pull away from the dog. If the dog is latched on to your leg, do not try to get your leg free by pulling. This will make the dog latch on tighter and injure you more. As stated above, your best defense is to roll in a ball, criss cross your arms over your face and lay still. This is in the event the rest of the tips in here don't work first. 9. Tips for Witnesses to Dog Attacks. Maybe you are a witness to a dog attack and not the actual victim. What can you do to help the victim and to stop the dog from further damage? Dial 911 immediately to get help. Beating the dog with a fist or object isn't helpful, especially for a very large breed. This will make the dog latch on worse. Shouting commands at the dog as stated above can be effective. If the dog is trained, there is a good chance it will retreat. Spray the dog with water and see if that works because it's safe to the victim. If available, wear gloves. You don't want your fingers injured while trying to help the victim. Redirect the dog's attention with a toy, food, or a stick laying on the ground. Tell the dog to fetch. The dog may surprisingly let go and go after the fun toy. If the victim is elderly or a child, lay yourself over them. This is a very hard decision, but a determined one. An elderly person or child is much less likely to survive a brutal attack than a young person. Lay very still, don't move, don't scream, and eventually the dog will walk away when the challenge is over to take down it's prey. 10. 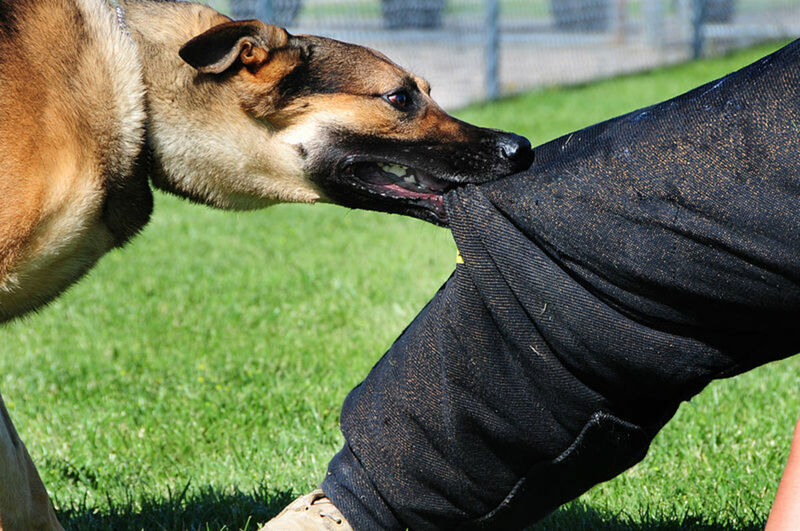 Understanding why dogs attack will help you be safer in the long run. Dogs attack seemingly unprovoked for many reasons. Here are a few that I think pet owners can benefit from as well. 1. 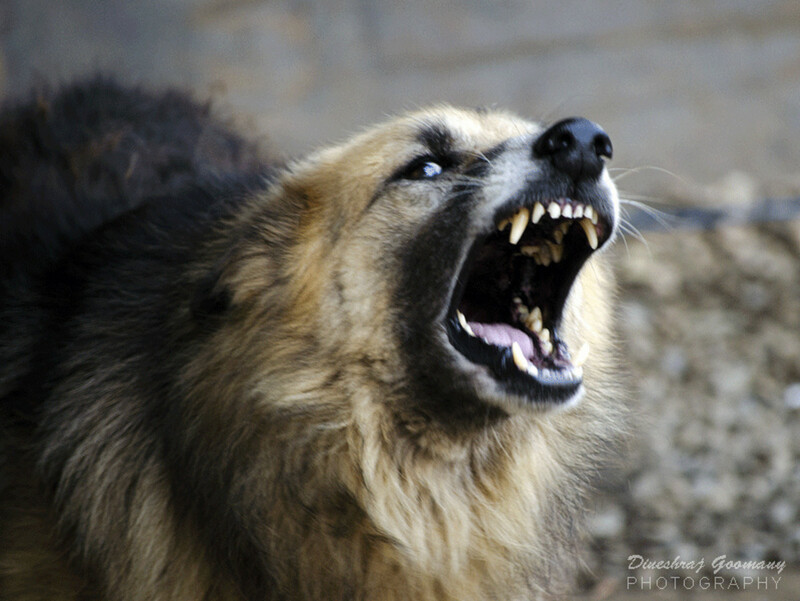 Dogs attack when they sense someone is in their territory. A dog's ability to understand that their property ends at the end of the driveway doesn't exist. All a dog knows is that it sees a person walking in front of their house. The house that they were brought there to protect. To a dog, that person is an intruder even if the person is on a sidewalk. Someone walking, running, or bicycling by can safely move across to the other side of the street if the dog seems to be a threat or starts barking loudly. What can a home owner do to prevent a dog from barging outside and attacking a person walking by their home? Such is the case of the 93-year-old elderly woman walking past a beautiful home in a nice neighborhood yesterday when the rescued dog suddenly escaped from the house and attacked. What can we learn from this incident? How did the dog get loose? How did the dog get out of the house? These are questions we can review in order to put proper pet management in place in our homes so this doesn't happen to any one of us. Lock your doors to make sure they can't be pried open by dog noses. Secure areas with baby gates in your home. If the dog seems irritated by people walking by, don't allow this behavior to continue. Place the dog in another area of your home where the dog is less likely to develop territory aggression toward innocent people walking by. Make sure your dog is not kept by a window, especially one that is open. I've heard of dogs jumping through glass windows and charging through screened ones. This happened to my mail carrier and was extremely dangerous. Assign a room to your home for the dog. Many people love their pets to the point of spoiling them. A dog needs to know it's place in a family. A dog cannot be an Alpha Dog in a family. The dog needs to know you are in charge. So if that means moving the dog to another room which he likes less because he can no longer look out of the living room window at all the people on the street, then so be it. If that's what it takes to prevent another dog bite, it's not too difficult to arrange. Don't chain or kennel your dog without proper supervision, daily exercise, fresh water, and food. This is a deadly mistake I've seen time and time again. Pet owners chain up their dog in the back yard in the hot sun without a fresh bowl of water. The dog is kenneled all day outdoor without any supervision. Dogs are smart and very creative. Many dogs have escaped from kennels and ripped themselves from chains in order to free themselves. Don't underestimate your dog's potential. 2. Dogs develop fence aggression. There are several homes in my neighborhood with four-foot chain link fences. The owners have smaller dogs. I took my German Shepherd around the block one day and was shocked when a little dog came around from behind the house to the fence line and started terrorizing my dog. My dog could have easily jumped the fence and devoured that dog, but luckily my dog is trained and polite. She didn't bark back or even allow the behavior of that dog to bother her. Keep yourself safe by not getting too close to a fenced yard with dogs. Walk on the other side of the street if possible. 3. Dogs sense a threat. 4. Dogs have a prey drive. The reason innocent walkers, joggers, and bicyclists are often attacked is because dogs chase the motion. It's a challenge that's instilled in them to hunt. Have you heard of the Dog Fright Law? Connecticut recognizes a dog fright law. When a dog's actions cause a person to react in a manner that results in injury to that person. Demers v. Rosa 102 Conn.App. 497 (2007). After reading through these suggestions, do you think you'll be better armed with knowledge next time you are out for a leisurely stroll? I think I will start carrying a water bottle with me. I would have probably tried to run away screaming before I read this article. I never gave a dog bite much thought before. It's important to know how to protect ourselves. I'm definitely going to start walking across the street from my neighbor's house from now on. They have a dog I'm very afraid of. I never knew a dog yawning meant the dog could be stressed. Wow, I always thought a dog wagged it's tail when it was happy! In this day and age when dog attacks are so aggressively talked about in the news, we can't ignore the fact that we can't sit back and wait for the next attack to have something to talk about. We need to be pro-active and know how to react if it does happen. I hope these tips have been helpful and will prove useful to someone who may benefit from them. We all have to do our part in this world. We each get one life. Pet owners must take responsibility for their pet and have in place proper management to prevent dog attacks. People must learn and utilize appropriate defense strategies to know how to protect themselves in case this situation strikes them. We all have said, "oh that will never happen to me", at one point or another. And that's exactly what dog attack victims have all said before too until it happened to them. Don't surround yourself with victim mentality after an attack occurs. Arm yourself with the right knowledge to protect yourself from an attack before it happens. Are All Pit Bulls Aggressive Towards Other Dogs? Why Did My Dog Kill My Cat? I disagree with all u said. Ill simply shoot the sob. End of this story and the dog won't bite anyone else. I walk with my children. And your methods sound like you feel you should spare a dog's life who is threatening the life of a human. A water bottle? Are we talking about kittens? I have a license to carry. The dog's life for my childrens' sounds most reasonable. BS. please do not use this. Your going to get hurt. I was a K-9 officer for years. Dont use this. I don't know who is writing this post, but most of it is seriously irresponsible and incredibally dangerous advice. Please don't scour the internet from random sources to create a post/blog, especially when safety is at risk. As a behavioral tainer with 18 years experience, I can tell you that most of these tips will not only exacerbate a situation but can get you seriously injured. 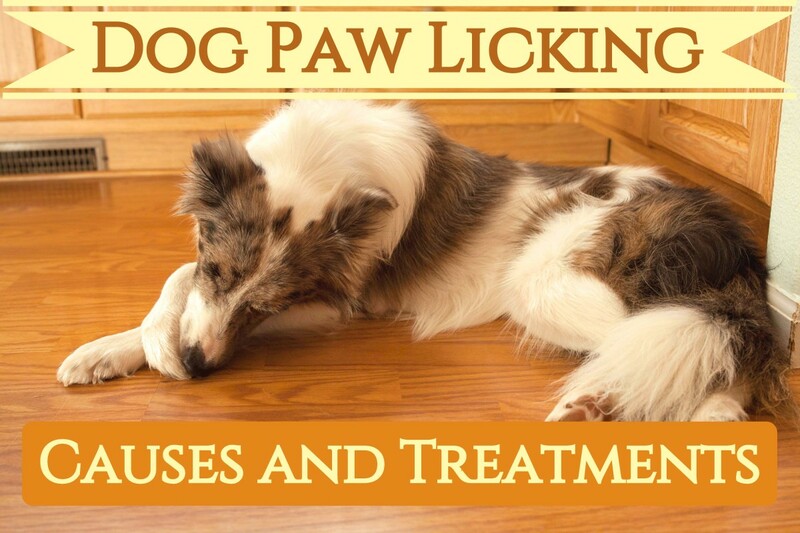 Not only is this post not based in knowledge of dog behaviour of any kind, its information is potentially harmful to anyone who follows through with its advice. I knew most of these facts, but I think I read your hub when it was first written. Reading it again was a good review. We've moved and I'm hesitant to ride my bike in the one direction, because I'm not sure what to expect as far as how many dogs are in that neighborhood. Owners that let their dogs run without a leash are a problem in small rural towns. The dogs usually end up getting hit on the road or hurting someone. I carry pepper spray and been bit because there just isn't always time to use it. I like having it in case they're locked on my arm or leg I'll burn their eyes out. Excellent article. I lived in different countries from which Ukraine was the worst in almost any aspect. The countless dogs were the worst. A true nightmare. I liked hiking and camping in Ukraine, and ran into hundreds of mean dogs especially in the 'very nice' suburbs around the cities that I passed before entering the woods. After being chased and attacked a few times by packs of dogs I developed a sense to detect this kind of danger. I certainly agree with you that most dogs keep attacking as long as you keep fighting, but there are also dogs that simply don't stop even when you play dead so to speak. They can be hungry, very vicious, and scared for nothing. I agree with your presented tactics here, I'd like to share some of my own experiences. All dogs are scared as hell for stones thrown at them, especially when they are fast and accurately thrown. A clean, hard hit stops any dog, no matter how big. It pays to practice daily in throwing stones:) which I did and became a champion in this. Stones as big as tennis balls are awesomely effective. A flat hit on the head easily knocks out or kills a dog. If the distance has become to small, you might have a problem though, and what I did a few times was to dodge and grab them at their neck and tail at the same time, and throw them in the bushes or over a wall :) But this only works with medium sized dogs. Great article about a serious problem. I sometimes still have scary dreams about dogs (or bears) chasing me. A family member's dog recently was attacked by a stray while they were walking. Fortunately the dog that was attacked was bigger than the offending dog, but both were injured and the family member involved was scared half to death, knowing it could have been much worse. I'll pass along this article. Funny that just yesterday I was wondering if a spray bottle of water might be a good thing to carry. You've affirmed my suspicions. Congratulations on Hub of the Day honors! This is a very useful hub with great tips for anyone, walking, jogging or cycling, so congratulations on HOTD! I do a lot of walking and cycling and have never really had any issues with dogs. Usually I try to ignore any dogs off lead and avoid eye contact and maybe talk softly to them which is probably the best policy if they are in any way highly strung. Most people are responsible and keep their dogs locked up or on a lead. If I'm cycling, and a dog is off leash, the owner usually holds the dog until I pass by, obviously because most dogs have a thing for people on bicycles! Maybe in their doggy minds, they think dog and person are some sort of centaur creature! I think my worst encounter was with a border collie who did some jaw snapping to intimidate me. On another occasion, I was returning from a cycle and a border collie started to bark at me. So being peed of at being chased by dogs all day, I roared at the poor animal who promptly ran back into its garden with tail between its legs! It now hides whenever it sees me, but whenever I look over my shoulder, I see it following sheepishly! Crafty, all of this tips are handy for everyone when dealing with a dog attack. As for that elderly woman, god bless her and give her strength. The same for the other victims. Great hub for a well thought-out article! Congrats on HOTD! Thank you for sharing this important information. Instinctively people are prone to lash out, struggle or run away when confronted by an aggressive dog so it's good you point out what to do INSTEAD of doings these things which would make the situation worse. In the first instance no doubt you have to keep a cool head, calm yourself and control your fear so that you can actually put these excellent recommendations into action - and that for me would be the difficult bit! Something else I had not thought about before (I do not own a dog and am ignorant of dog commends) - If confronted I would probably scream something like "Leave me alone" or "Get off of me" but having read this, I hope I'm right in concluding that one word commands are what is needed. I live in an urban area but I notice over time there are more and more foxes around. I suppose that shouting firm commands at a fox may not help much but hopefully I'm right in thinking that spraying water, keeping still and rolling into a ball would be right for foxes as well as dogs? Thanks again. It happens so often. Last week a lady was walking her little dog and a Pit bull got out of the house ran her down took the small dog out of her arms killed it and went after her. The dog has been banned from the city. A couple weeks ago our friend's child was taking his dog outside when a woman walking by let loose of her dog and it attacked our friend's dog in his yard. The woman called the police, when they got there they realized the dog being walked was the aggressor and did not have its shots. Thank goodness the child wasn't attacked. Voted up on your hub. This is very useful information for all of us. I remember we had an aggressive dog in our neighborhood when I was a child. We all ran inside if we saw it coming down the street. I will definitely carry a spray water bottle and have dog treats if walking in such areas. Thank you. Pinning! Hi Vespawoolf! When I started going to the dog park here, I hadn't yet rescued my dogs. I wanted to scope the place out first and get a sense of safety. There was a large dog that approached me and tried to jump on me. He was just being friendly, but I was actually quite surprised that he listened to my commands when I spoke to him firmly. Another time I went at lunch time. I had some business calls to make and took my calendar book with me. I sat down at a table and three large dogs came running up to me. They jumped up on the table. One jumped all of my calendar, and they another started trying to climb up on my head. The commands worked at that time too. It is surprising, but it does really work. Dogs need to know that they aren't in charge. It's their nature to run in packs and to appoint a leader. So when a human exhibits a strong presence without fear, the dogs learn that it's safe. They learn to relax. This is a very sobering article. Dogs often run loose in Peru so this advice may come in handy someday. I hope to have the presence of mind to remember your tips. I didn't realize that forceful, yelled commands could actually stop a dog attack. I feel bad for the pit bull and am glad you were able to save it. Rolling into a ball is definitely a good idea if all else fails. Thank you for this important information. Hi Paolo! Yes, you are right. The famed Ceasar Millan talks about no look, no talk, no touch which I apply in my household as well. It's better to have a dog approach you without looking at it, talking to it, or touching it. A lot of times children make the mistake of sticking their hand out to offer the dog to sniff it. That also has been a problem in some attacks in the past. So it's better to stand still and let the dog sniff while you have your back turned to it. Now obviously this wouldn't work for a dog that's charging someone. Thanks for stopping by. Hi Beth! Thanks so much for stopping by and commenting. Hi RTalloni! I thought it was a joke when I first came across the headlines in Google. But it was true about the Chihuahuas. They were terrorizing children in neighborhoods. I think they have groups now rounding them up and putting them in shelters. I had never heard of such a thing happening. We have a pretty good network of animal control authorities where I live. I have never come across a stray dog. But in some parts of the world, it's a normal part of life. Compu-smart, I'm so sorry to hear that you've been bitten 3 times by dogs. I was bitten twice as a timid child. Now as an adult, I've learned to issue authority with my voice. It has been quite useful at dog parks where there are pet owners who don't seem to pay attention to what their dog is doing. Hi Anti-Valentine. Thank you so much for commenting here. I'm so glad you are safe. It's important to alert the authorities because they can be pro-active in helping a situation before it escalates to a dangerous level. I think if more people were visited by animal control, they might take caring for their pets more seriously and more cautiously. Nice hub! When I cross pass with a strange dog I always tries to stop staring at their eyes. I saw it on Animal planet or Discovery channel that when you stare at their eyes their instinct is attack mode since its like your challenging them. Some great advice; thanks so much for posting! Yes, I see how that could be a huge problem. Being careful to remember that many things really can play into the situations people face with dogs/animals is important. The stories coming in on this hub are amazing. Chihuahuas?! Attacks really are so sad--even the threat of one is. Very informative. I've been bitten 3 times so I hope all this information helps when I get hassled by a Dog again. Yes, this is very timely indeed. I've had some close calls with dogs in the same street twice this month! I'll be avoiding that street for a long while from now on, and I'll consider informing the authorities of the fact that dog owners in this area leave their pets outside the fence where they can cause others harm! Hi Sha! That's so scary. We have a park with a walking trail less than a mile from my home. There are tons of people who go there to enjoy the trails, especially children and elderly because there is also a playground and park benches to relax. There are a lot of people who bring dogs there, and I have never heard of an attack either on a person or another pet. However, the dog park has had several mauling incidents. It's supposed to be a family friendly park for children, but some of the dogs don't exhibit very friendly or good manners. It really ruins the experience for everyone. Great advice, Crafty. One reason I don't walk my neighborhood is because too often I see dogs wandering about that have gotten out of the house or yard while their owners are at work. I'm a firm believer that if a dog senses your fear, they will attack in order to defend themselves. Thank you so much Eiddwen. It's nice to see you here. I appreciate your comments. Hi DDE! It's so nice to see you. Thanks for stopping by and commenting. I don't know about the area where you live, but some countries have large populations of stray dogs that never bother anyone. I just read an article about a pack of wild chihuahuas living in America that terrorize neighborhoods though. Gave me quite a laugh, but I'm sure the people there aren't laughing too hard. Hi Rajan, absolutely, securing a place for the dog is the most important and critical piece to avoid dogs biting people enjoying the neighborhood. Thanks for stopping by! Hi cfin, I know right? I was at a dog park one time and saw a guy walking two beagle puppies with those chokers on them. I couldn't believe it! It didn't seem right at all, and he was talking about breeding more dogs. Hi RTalloni, Yes, that's true. People are either careful or not. I also think sometimes it's a matter of being niave. Someone might take in a dog that they have no true experience handling, but were convinced by a shelter, rescue group or pet store that the pet would be low maintenance. I've seen that happen a time or two to unsuspecting people wanting to adopt a dog. For example, an elderly lady I met at the vet was terribly saddened and distressed by the dog a shelter gave her for protection. Now, most shelters do have a screening process. The ones in my area do have protection in place for people looking to adopt. Some don't allow dogs in homes with children. 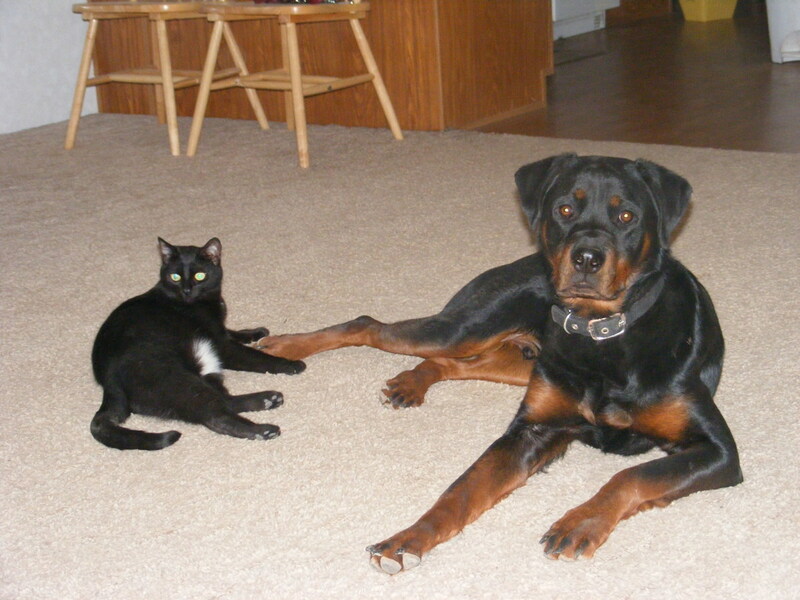 Some don't allow dogs in homes with cats for instance. But this poor lady had this huge dog, that even I hestitated near, at the vet's office. She had no idea what to do. She got the dog from a shelter, it stood up to her waist, it was very strong and had pulled her down the street already. She took the dog because the shelter convinced her it was a mild mannered dog. The dog tried to take out the neighbor's cat. So sometimes we hear about these stories as well, and that troubles me that innocent people are also taken advantage of by facilities that just want to get rid of an animal to make room. Hi Minnetonka Twin, thanks so much for your comments here and sharing your story. That's so sad that your dogs were attacked. It also causes the dog to be afraid after such an attack. I had a dog that was attacked once too and after that he was always so jittery. I worked it out of him, but it took a while. A great hub which I know will benefit many. You certainly have the knack of covering your subjects well. Voting up and sharing. I do walk daily and don't have any problems with dogs thus far. An informative and very useful hub to the daily walker or jogger and so much to consider here. Voted up and useful. 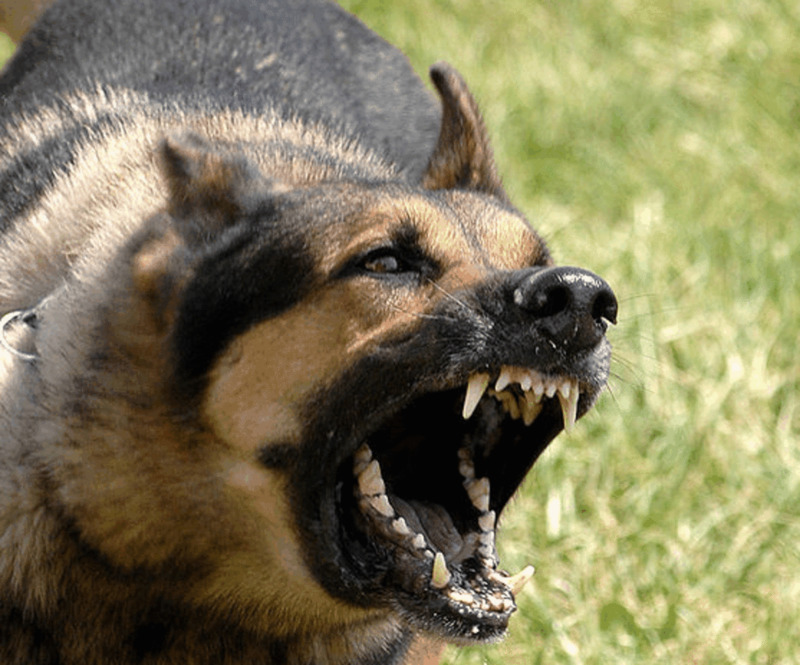 Excellent tips for protecting oneself from dog bites in unexpected situations. Some knowledge rather than none is always better. Though I would like the dog owners to act wisely to take precautions and ensure their dog never gets loose in the first place. @ crafty, oh my gosh, I hate choker collars. Pain and punishment really don't work on dogs as they seem to become quite vengeful. Sad that they would suggest that at a pet store. Excellent article on protecting ourselves from dog bites. My dog and I were attacked from the dog across the street. Thankfully, my dog only had minor injuries, but it was scary as hell. I am no longer naïve about thinking my neighbor's dogs wont attack, even if they've never had anger issues in the past. So many things can trigger a dog to attack. I will be sharing this informative article. Hi MsDora, our neighborhood has no sidewalks. We pretty much have to walk in the road around here and that alone is reason we drive to the park. I've always wanted to live in a neighborhood with sidewalks. There is no shortage of dogs around here either. By the park, there is a woman that lives on the corner with dogs that she fences in. Those dogs have what I would call fence aggression. They get more ridiculous when I bring my other dogs for a walk. Sadly, it's right by the school path where I walk the children every day. I've learned the names of the dogs though, and now I call them by name when I walk by and they start barking. It calms them down. Rebecca, your comment made me laugh. Dogs are so smart. They love to dig under fences and jump over them if big enough. We have a pot-belly pig. Imagine trying to keep him barricaded behind a fence. He got out once too. He walked all through the neighborhood and picked up a plank from a fence with his snout in the back yard of a neighbor. The neighbor had 2 huge dogs, but they welcomed the pig. As I'm running around the neighborhood frantically shouting for Wilbur, the neighbor came out totally unsuspecting that his dogs were playing with the pig. Anyway, while it may not be pretty, we had to barricade our back yard with chicken wire buried a few feet deep. That was the cheapest accommodation we could make without spending a fortune on real fencing. But the pig can't dig himself out any more. Hi Heidi, thank you so much for commenting here. You are absolutely correct. It starts with the owner. Many people don't own up to responsibility for their dog expecting the dog to behave on its own. It takes hard work and training. I too have worked with dogs pretty much my whole life. Hi Alicia! Thank you so much for commenting here. It's a very scary situation when we encounter an aggressive dog while walking our own dogs. Crafty, this article is ultra helpful to me. I walk long the sidewalk in my neighborhood and am always afraid of dogs. I will act on your advice and be less afraid, but as careful as ever. Voted Up! Harvey the Hamster Hound get loose all the time. The kids in the neighborhood chase him. . I just have to figure out how to keep him in the fence, he cries if you chain him. He is so little it is easy for him to get out when I get the mail. He has spent a lot of time in doggie jail for it. He loves the mail women. She always threatens to put him in her mail bag. My guess is he would nip someone... He needs to be neutered soon cause I think that is a lot of his attempts to roam. While I agree that every situation is different and may require different tactics, there are some good tips here. I might start carrying the spray bottle. Even though I've been a dog owner for well over 20 years, as a kid I was quite traumatized by aggressive dogs and their insensitive stupid owners. Now that I work in pet rescue efforts, I see how most of these issues are usually owner issues. People are often so lazy and uninformed about pet discipline and control! We have a young dog in our area who's pretty friendly, but is rambunctious and somewhat aggressive. She will tear out of her house and jump the fence, circling and jumping on my dog and me, making it impossible to go forward. A very aggressive movement! She has too much energy for her owners to handle and needs some serious leash/walking exercise and training. But until I see that happening, I'll walk down a different street. Owners need to select a dog and breed that's in line with their energy, time, budget (for fencing, training, etc.) and commitment level. This would solve a lot of these dog behavior issues before they even start. This is an excellent hub, Crafty. Thank you very much for sharing your tips. I've never been attacked by a dog, but I have met dogs who are aggressive towards my dogs. I love the water bottle idea. A jet of water is often a great deterrent for bad behavior! cfin, that's a very interesting idea! I hadn't heard of that trick before, and I bet it would have worked. He's fine on a leash now but it did take some time to get him to that point. I was at a pet store once and they told me to buy one of those choker collars with the metal prongs. But he has such as sensitive skin, I was afraid they would poke through. @ Crafty, I have a 9 week old pup at the moment (mini schnauzer) who is going through bite inhibition right now. Beautiful that you gave that dog a chance. Try dousing the leash in vinegar or bitter apple (something harmless to the dog) before you go walking next time. It's a friendly reminder for him that biting is bad and may save his life. Fantastic advice all around. I like the water bottle idea. I was walking my two dogs and one had been attacked by my neighbor's pit. Your advice of stopping moving is great. My dog who was attacked didn't bark, didn't growl, didn't scream. She simply laid down. It still attacked her, but finally the owner was able to pull her off, and my dog had only tiny scars, but nothing that needed stitches. I think that is because she remained calm (unlike me) and stopped moving. Very helpful hub!! Hi cfin, thanks so much for your comments here. Puppy training starts early. My pit bull was rescued at 7 months and he came with some bad habits. He was more interested in chewing the leash up than walking on it. It was a very hard habit to break. It's this type of behavior that pet owners need to correct. And sometimes, people instill it. Hi Carter, I'm so sorry to hear that you were mauled by a dog as a child. Stories like that send shivers up my spine. One thing I always suggest to people who are afraid of dogs is to try to visit a dog shelter. I don't know what is available in your area. By visiting different dog breeds and interacting with them safely, you might be able to overcome your fear. It would be so beneficial to you. Thanks so much for commenting here. Hi Au Fait! I agree with everything you say here and I appreciate every word you wrote. I can tell you are as passionate about me as the subject and it's great for two people with similar thinking to join together. In my previous Hub about Proper Dog Management Tips for Pet Owners, I wrote some strategies and suggestions for preventing dog attacks. I wrote out some charts summarizing the fatalities by year and what factors were present when the dog attacked. Almost all of those situations could have been prevented. Pet owners must take responsibility! That's the first key. We can't allow dogs to become alpha dogs and think they run the household. Management has to be in place for the safety of all involved and dogs need to know their place. For example in this article which addresses safety of people walking in neighborhoods, the elderly woman who was attacked was walking in her own neighborhood. Tragically, the dog bolted from the front door of the home where it's lived and has caused no other problems. I think people should read about that and learn from it. What can we take from this event? In my opinion, the dog didn't belong in the living room or front end of the house where it had access to the woman walking down the street. This is just a suggestion but it seems to me it's common sense. I'm not judging the pet owners, because I wasn't there and I have no idea about all of the circumstances. I'm just going by what I heard on the news. But, if I had a rescued dog, a pit bull especially, I would not have it in the front room of my home near windows and access to the front door. I do have a pit bull and there is no way he could ever escape. There is no way anyone would ever be hurt by my dog. I have management in place in my home because I love and care about my pets, but more importantly, I love my community and neighbors. Why would I ever risk any of my dogs escaping and attacking someone, even though they have never showed any signs of aggression. It's just good practice to understand that dogs are not humans. They think differently. We can't read their thoughts. Things happen and accidents occur. It's terrible. But we ultimately have to do things differently that what we've always done. Some people think their innocent little dog would never hurt anyone and is fine sitting on the family couch until it jumps out the plate glass window and mauls the mail carrier, which has also happened here several time. I trained my german shepherd not to bark at people walking by. It took a while. It was hard work. But this is what it takes these days. We can't just bring home dogs from the pound without any training and expect the dog to know how to act, or what's expected of it. I took my dog out daily and practiced with her. When people or cars walked by I trained her how to respond appropriately by sitting and waiting quietly. Everyone loves my dog. She especially loves children, so she has been a tremendous blessing to our family. But it takes work. It takes commitment, dedication, responsibility. And the worst thing a pet owner can do is bring home a pit bull and pretend like it would never hurt anyone. 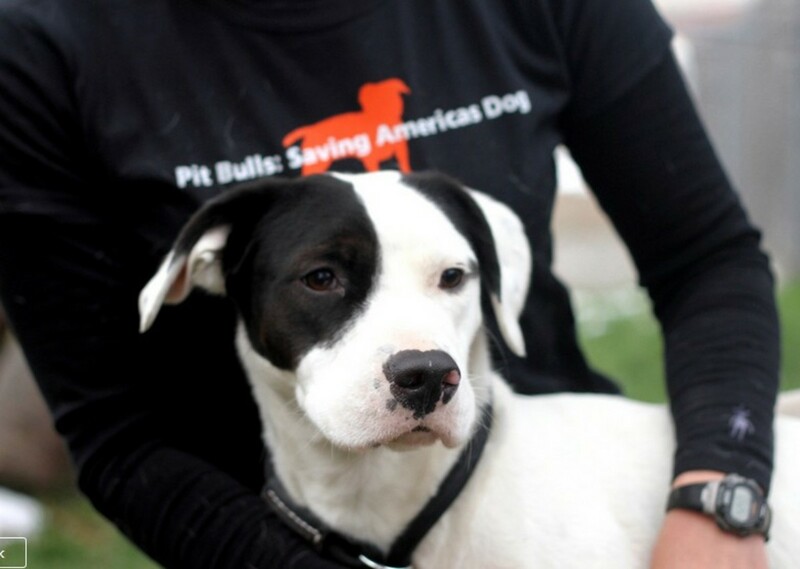 That goes for any dog breed as well, but pit bulls are often in the news the most. People that cannot handle certain dog breeds shouldn't have them! That's exactly right. Thank you so much for taking the time to comment and your well-thought insight to this matter. I truly appreciate it. Hi Sherry! The thrill of the hunt as they say. The motion causes the dog to react from instinct and prey drive. And by no means am I saying it's the jogger's fault. I hope that people will learn some self-defense strategies here. One thing that I read about when I was writing this is that some experts believe if a small dog is being attacked, to walk away from the dog. I don't think I could do that if it was my dog being attacked. I'd probably bring it up close to me, roll up in a ball, and cover it with my body. It's so scary though to think about how fast these things occur and sometimes there just isn't any time. Hi Purpose! Hopefully, these suggestions will be useful for many that might not have otherwise known about them. I personally have used the water and it did work. But one can never be too careful and other strategies of self-defense may have to be used in a situation where a dog attacks. Thank you so much for commenting here! Hi Kenneth! Thanks for your kind comments. It's nice to see you again. Faith, I'm so glad you commented here, because it's refreshing to see that someone else has tried these techniques and they worked for her! Two pit bulls coming at someone aggressively is a very scary ordeal. Especially for anyone who has no experience with dogs or someone who is helpless such as a child or the elderly. I have a pit bull and he is well trained. When I first got him, he used to bark a lot. We don't know his history because he was rescued at 7 months. But after some initial training, I was out in my front yard with him. Two women walked by with baby strollers. That was a real test. My pit bull sat right down and gave them utmost respect as they walked by my yard. That's another thing people don't think to do when they adopt a rescued dog. They don't think to train them to offer respect to passerbys. The dogs don't know where their territory starts and ends unless they are taught. Chaining dogs and penning them are both factors in a lot of these dog bite fatality cases that I studied for my prior Hub about proper pet management. People pen up their dogs or chain them without thinking about the consequences of an unsupervised dog. The dog is protecting it's territory, but if that dog got out, it could result in a devastating tragedy. That's why on these dog shows, such as Pit Bulls & Parolees, you see one of the adoption requirements is for the property owner to have a high fence without any possible way for the dog to get out. Hi Mishra, I can certainly understand why you would fear dogs after being bitten. Dog bites are extremely painful and scary. I was bitten twice as a child. One way you might try to overcome that fear if you want, is to visit an animal shelter in your area. I don't know how India deals with strays. I've heard a lot of countries allow strays to roam free in packs. If you have a shelter close by, you can visit it and interact with the dogs safely overcoming your fear. Thanks so much for commenting here. Dogs that were never trained tend to nip. Puppies are born mouthing and nipping. It's sad that dogs bite, really, as it's a huge misunderstanding and scares the heck out of people (not to mention scars them). In theory, it's that we have soft skin and they are used to rough playing with other dogs. Notice how puppies gnaw on your fingers and toes. They don't have hands so they investigate the world with their mouths. If the owners are any good, their dog would have learned to stop biting/mouthing by the time they are 4-6 months old. 99% of the time it is unintended and the dog is trying to play and doesn't understand how fragile our skin is. 1% of the time the dog is aggressive and dangerous (usually as a result of a cruel owner or he may just be a psycho dog just like there are psycho people). Moonlake, I have no experience with bears! Oh my goodness. Honey, maybe honey would work. That's so sad about your puppy in your childhood. That breaks my heart. And it proves my point that I wrote about in my previous Hub about proper dog management. Chaining a dog is one of the most denominators in dog bite fatalities. Thanks so much for commenting here! Hi Flourish! Thank you so much for commenting here my friend. Hi Victoria! Gizmo has good reason to be afraid. There have been numerous accounts here where both a person and their dog was injured or killed by a loose dog. My pit bull is afraid of other dogs that are roaming loose or barking behind a fence. And he can hold his own if it ever came to it. The reason I don't suggest pepper spray is because many people don't know how to use it properly. It would be a total loss if someone used it, the wind blew it back in their face, and they can't see to protect themselves. Then the victim would be flailing and screaming in pain which will only cause the dog to attack more. So, if one knows how to use it properly, then that's fine. But water is universal, and it can't hurt to carry a small bottle. The elderly woman was bitten so severely on her leg that she may need plastic surgery. That's another reason I suggest walking on the other side of the street away from homes with dogs people are afraid of. If this woman had done that, the dog may not have run out of the front door and attacked her. Again, I'm not blaming the victim, but it does take precaution this day and age when dog bites are in the news every day. Jackie, my previous Hub on proper dog management goes in to detail for pet owners about what they can put in place to properly manage their pets. The problem as I see it is people get dogs and don't care for them, leave them unsupervised, or allow them to exhibit improper behavior without correcting it. In this situation where this tragic event took place, the dog escaped from the house and mauled the woman on the sidewalk in front of the house. My suggestion here is that this pet owner, looking back on this tragedy, could have kept the dog behind a gated partition or away from the front room of the house to begin with. If a dog is barking at people walking by on the street, or seems agitated with people in front of their territory, this is a warning that the dog may have territory aggression. It's like dogs that live in fenced yards that develop fence aggression. So, as I say in this article, it's not about blaming the victim. But with the increased number of homes built in close proximity and the increased amount of pet owners, people need to be proactive about defending themselves as well. It's by no means the victims fault, which I clearly express here. It's starts with the people that own the pets. It's the owner's responsibility. Thank you for your time in commenting here. Hi Barbara! There's nothing scarier than trying to break up a dog fight. I've had to do it on a few occasions and I'm always grateful when the dogs listen. It can really become deadly quickly if escalated. There was a woman walking her two small show dogs at our local dog park. A man was walking with his husky which was unleashed. The husky got a hold of those dogs and killed them both. I can't imagine how that owner felt. She said they had no fighting chance. I believe she was injured in trying to get the dog off her dogs. 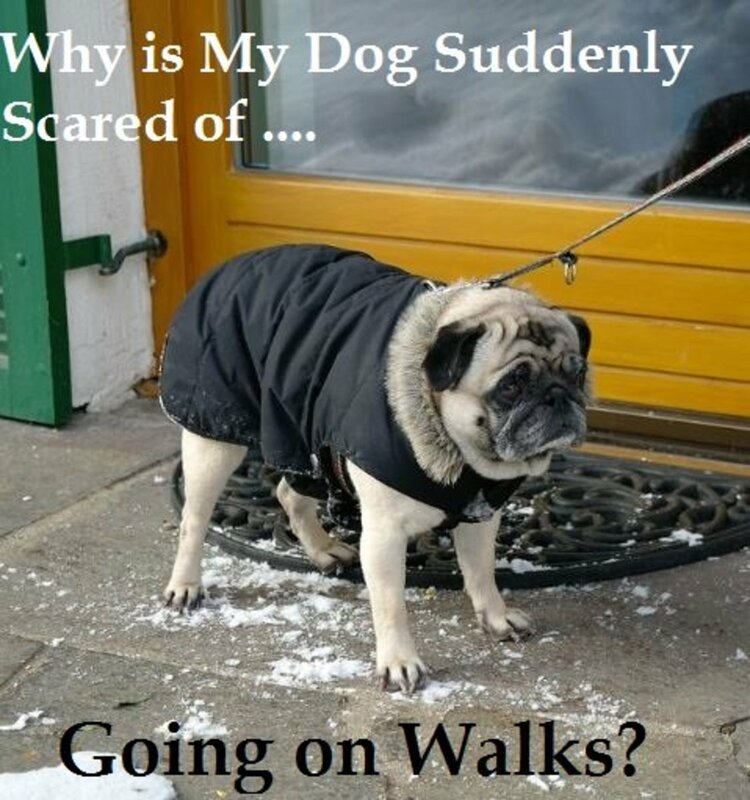 We have leash laws here for a reason. I wish people would use leashes, but many don't. Hi RTalloni! Thank you so much for sharing your story here. My driveway ends at a circular area with pine trees in the middle. 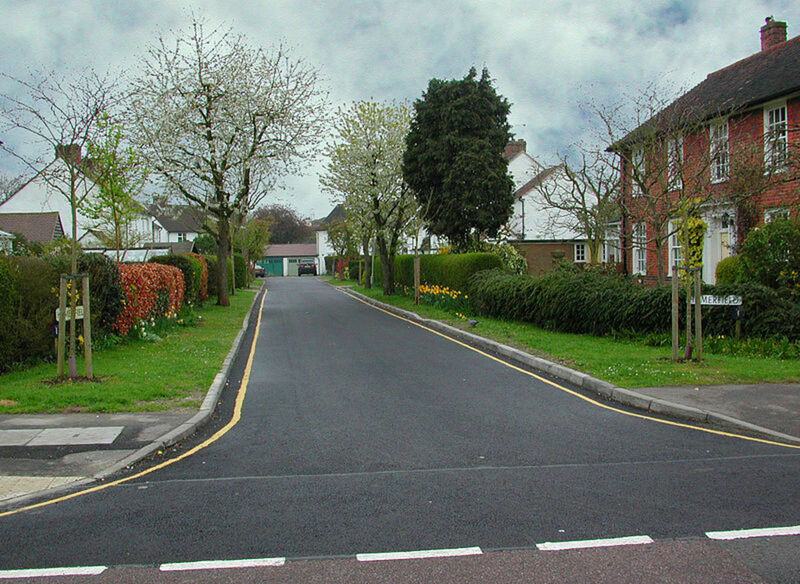 The road curves around 2 houses. My neighbor in one of the houses tells me that people are always allowing their dogs to go to the bathroom in his yard. In this state, there are laws about that, but people do it regardless. We have a beautiful walking park in town with doggie bags and trash cans supplied by a grant. Then there is a dog park which provides everything as well. When we walk any of our dogs in to the town park, we bring plastic bags with us in case the dog goes before we get to the park. But we never allow our dogs to walk on to someone's property. Last summer, I was driving home with my children and found a woman walking her dog in my front yard. We live in the woods so it was very unusual for someone to be up here. I stopped the car and asked her what she thought she was doing. She said that she thought it was a park. I told her that it is my yard! She said that she was from a city so people weren't used to having front yards where she came from. We are friends now, but it really shocked me that someone was walking their dog in my yard! Great advice, but I think people should keep in mind that there are no guarantees these suggestions will work every time or with every dog. I think these suggestions can be very helpful, but at the same time I would hope that people would realize there are no guarantees they will work anymore than there are guarantees in anything else in life. If a person is fearful of a dog, that gives the dog the upper hand because dogs (and all animals) can smell your fear and then they know they have the upper hand. I, too, grew up on a farm around many different kinds of animals and we always had a dog. 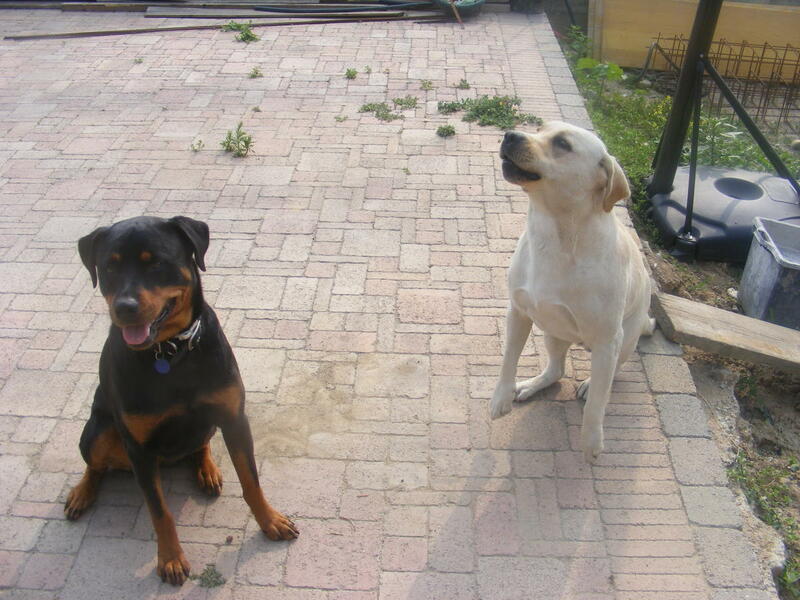 Our dogs were very protective, but when they got beyond where we could control them, they were put down. They were never taught to be mean, but for some reason some of them just seemed to get that way as they aged. When we could no longer trust them not to attack a person, that was when they were put down. We couldn't take the chance that they would harm someone. The liability alone for something like that is just not worth the chance. I have always said, and still believe, that if you can't control your animal, then you shouldn't have it, especially in a congested area like a city or suburbs where people live close by and are put at risk as a result. The shear cost of an event where someone's animal attacks and injures someone should be a detriment to keeping a dangerous animal. Law suits and possible jail time for having an animal one can't control should be enough to make someone think twice about keeping an animal that may at some point get beyond their ability to control that animal or of having an animal that may act out of character for some reason and harm someone. The possibility that a child, or any innocent person could be permanently harmed, disfigured, or killed by that animal should be a detriment to people who want to keep such an animal. It may not be a stranger who ends up in serious condition or dead because of an animal attack. It may be you, your baby, your child, spouse, parent, friend. Is it really worth it to keep an animal like that? From my perspective having grown up around many different kinds of animals and always having had a dog, I believe people need to be responsible pet owners. If they can't control their pet or if their pet is aggressive towards other people or animals then maybe that pet needs to go. I know we hate to destroy an animal for acting naturally, but we also have to be realistic. Some animals will never be happy or fit into some environments and it is our responsibility not to put them in those situations in the first place. No person going about their own business should have to fear dog attack because they stepped outside their home to check the mailbox, to get into their car to go somewhere, or because they are walking or jogging in their neighborhood. Anyone who doesn't make reasonable and wise precautions against their pet getting loose should pay for that error. People usually know if their pet is aggressive, but even if they do not know, they should take precautions just in case the animal has a different disposition when not with their owner. It is sad when a person uses bad judgment and takes an aggressive animal into a situation that is all but certain to end badly, but everyone has or should have the right to be safe in their own yard, and in their own neighborhood. Everyone who owns a pet should take the responsibility of that ownership seriously. I think your suggestions here are great, but I also think we need to prevent these situations from developing in the first place. People who do not take reasonable precautions to make sure their pet cannot harm any person, should be subject to horrendous fines and even jail. Keeping a dangerous animal should be done with the greatest seriousness knowing that it could end badly, not only with someone dead or permanently disfigured or disabled, but with the owner of that animal in jail and much poorer than before the incident. I really have no patience for people who keep dangerous animals and risk the safety of everyone around them as well as their own safety. At some point we must remove our heads from the clouds where everything is ideal and realize that what ought to be or what should be in an ideal world almost never exists. We must live in the real world and deal with real probabilities and events. We must recognize the responsibilities with pet ownership and take every precaution to see that we do not step on the rights of others in our zeal to have a pet. I'm sorry that some animals do not fit well in congested situations and I understand it isn't their fault, but that's no reason to put people at risk of being attacked or harmed. Anyone who brings these animals into what are unnatural situations for the animals should always be prepared to bear the consequences of any problems those animals cause, and those consequences should be severe enough to make people stop and think before putting any person's safety at risk in order to keep a pet that may be dangerous. No one in my neighborhood should be put at risk for their safety because of my determination to own a dangerous animal whether it's a dog, cat, or other. I think it's important to avoid an injury due to animal attacks in the first place and one way to do that is to make sure all animal owners know they will be held responsible for any harm their animal(s) do and that the consequences will be very serious for themselves too. The fines for owning an animal that harms people or other animals should be horrendous, and there should be jail time in the most serious cases. The animal should be put down in every case, no exceptions. It has proven it cannot be trusted and is a safety risk to every living thing around it. It has proven its owner cannot control it. If it has harmed someone, clearly its owner is not a responsible pet owner and there should be no chance that the animal can harm another person. When it comes to people's rights to be reasonably safe, I tend to be very hard nosed. For some reason a lot of people think animals should have more rights to be where they don't really belong (forced to be there by irresponsible pet owners) than any person should have to not have their face ripped off, or their throat ripped out. I disagree. No one should have the right to put other people at risk for serious harm whether that other person is their own child, a visitor, or a neighbor, etc. Pet ownership should be taken seriously and animals should not be put in a situation where they may lose control of themselves. Ultimately it is pet owners who should be held responsible for treating their animals well and for protecting them from being put down because of an unfortunate incident. Most such incidents can be prevented by pet owners not keeping dangerous animals, and by pet owners taking every precaution to assure that their sweet, cuddly,adorable, loving pet, doesn't get into a situation where it may act out of character. I really appreciate this article and I think it can go a long way in helping people protect themselves when an unexpected situation involving dogs occurs, but at the same time, I believe we need to prevent these situations as much as possible in the first place. Animals have no say in what we do with and to them, so that leaves it to people, especially pet owners, to do the responsible thing, and what is often the thoughtful and kind thing for both pets and people. I guess I never think much about these things since I have been around dogs all of my life and have never been attacked by one, or even been bitten other than a couple of minor nips. I have witnessed dogs attacking other dogs and it can be frightening. I can see how a jogger could seem to be running away, thereby triggering a dog to chase. This is a great hub with useful suggestions. For example, I really didn't know that spraying water on dogs could prevent them from attacking you. Thanks for sharing. I loved this hub. It was informative, helpful, and a lot of fun to read. The lay-out; graphics, stats, overall appearance was GREAT! I voted up and all the way. I admire your writing style and I wish you my Best in your future writing of hubs, poems, and maybe books. I Cordially Invite you to check out a few of my hubs and then become one of my followers. I love my followers and am always interested in what they are doing and writing about. Hope to see you soon. Keep up the great work. Great hub, Crafty. You have provided a lot of insight into these scenarios. When my sister was living with us for a bit last year, she went jogging and around here it seems there are dogs that are allowed to roam free or either they get out. Anyway, she was not near their home or on their street. There were two dogs, looked like pit bull mix. She saw them coming thank goodness (she is a dog person), and she said they were coming at her very aggressively. She stopped running and did as you stated, yelled commands at them to stop. They stopped and then one finally just turned around and walked back towards its home. Then the other more aggressive one did too after about a minute. We walk with our grandchildren and now new Lab around the hill in our town, and there is a neighbor who has a huge German Sheppard in a pen and it seems to get wound up when we walk by. We will be taking a water bottle and walk on the other side of the street. My family has experienced a dog attack. It was like something out of a Stephen King movie, Cujo. Enjoyed your hub. Voted up and shared. When I was young a Boxer broke her chain ran out of her yard took my small pup from me and killed him. I wonder if that spray bottle of water would work on bears. Fabulous hub, Crafty. This is so well done. Voted up and sharing. This is very useful! I live in a safe neighborhood, but now and then, dogs are out of their yards or off their leashes. I have been nervous at times, as my little Gizmo is a small dog who freaks out and yaps at other dogs. I take pepper spray on our walks, but you don't think it works? I would rather take water, as I don't want to hurt any dog, just scare it away. You think that would be better. Maybe I should take treats to toss to them, as well, to distract them, while Gizmo and I walk on? The whistle is a great idea, too. Hey, do you know if the 93 year old woman was hurt? or okay? I don't think anyone goes out with the idea of getting bitten by a dog and if I really thought it was a possibility I would carry mace and that old women sure should have been. Can you imagine someone that old at the end of their life having to go through that? I think our thoughts should be with the human; especially one just out for her last stroll of her life. Things and people do make animals what they are I agree but something needs to be done about these animals and people; not the unsuspecting people other than to warn them to arm themselves against anything and everything; apparently. This is so tragic. This is a very informative article. We have 2 dogs and live in a neighborhood full of dogs. From now on I'll take a spray bottle of water. On a couple of occasions we have had dogs attack our dogs. Thanks goodness the neighbors heard the ruckus and called their dogs home and they obeyed. Well done! Interesting and useful both to owners and potential victims. This is an important post that I expect many, many people will appreciate and respond to. It took me a long time to realize that I actually like most dogs. It's some of the owners that get to me. My situation is a little different as walkers trot their dogs along our property and allow them to use my (our) yard(s) for their bathroom. I always want to ask, "Why don't you have your dog use the bathroom in your yard?" Once I was weeding an island inside my yard, not on the edge, and a man walked his dog up into the island right in front of me to let the dog do its business. I was stunned and jumped up from among the flowers yelling NO NO. Poor dog… The owner came back with something to get the stuff (one hardly knows what to say about all that), but I couldn't weed there again until it rained. I do not know what I would have done if the mid-sized dog had attacked me when I jumped up. Another time I was inside when a neighbor watched from her own kitchen window a woman walking her dog allow it to do its business in another neighbor's yard, then pick it up and bring it to an island my mailbox sits in to drop it there. My neighbor is feistier than me and rushed out to tell the woman she had seen what she had done and to ask her why. The woman tried to feign innocence but my neighbor wouldn't quit… Wish I had seen it. All that said, another neighbor pointed out that I should be ready with some defense since I spend so much time outside. She bought me a stun gun type thingy. I have no idea who, what, when, where, or how, and I'm pretty sure I would stun myself if I tried to use it, but you can be sure I won't be surprising her on any day! The legalities of any such defense items are another issue in some places that should be investigated, but I really have thought of keeping a spray bottle of vinegar (rather than just water as you mention) handy. It does not harm eyes, as I understand it, but I think it would at least slow a dog down for some intervention. I would hate to do it, but something must be done when owners are irresponsible, as well as when true accidents with animals happen. Again, good stuff in this hub, and important. I'm going to take the possible danger more seriously. Hi Rebecca! That is an excellent advise and idea about walking your dog through the cemetery. There are plenty of options for people to walk dogs other than in public parks. When we first got Brownie, our german shepherd, I didn't think she would behave in a park setting with children. She loved it the first time we walked her there. She sat right down as the children flocked to her and started petting her. She made me so proud. But then again, I've had other dogs that don't handle large crowds too well and need a quieter setting to get their exercise. Thank you Billy! Hopefully someone will be armed with knowledge now if they read this and encounter a dog attack. You are absolutely right about not threatening the dog breed. There are ways to avoid these situations. One of my dogs is a little aggressive. I walk him through the cemetery! Excellent information about a topic we all have faced. I liked your use of scenarios in this. Well done!